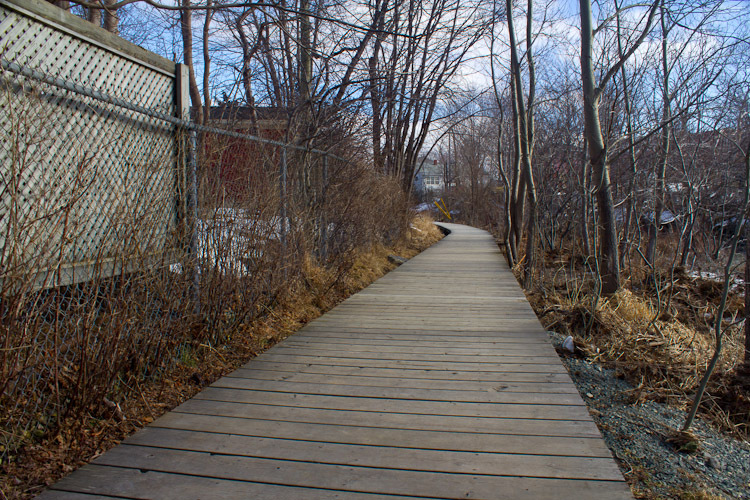 Any great city requires an excellent trail system, and St. John's gets high scores for the Grand Concourse. 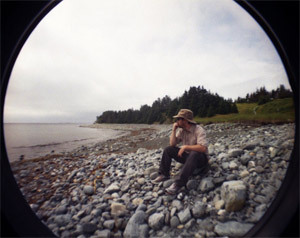 The trail system extends over 120km and connects many different neighbourhoods and parks. 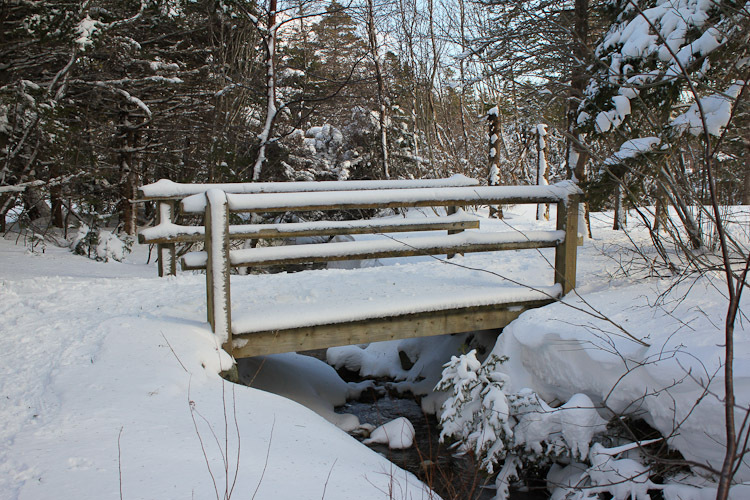 The trail is well maintained, even with the challenges that the Newfoundland weather presents. 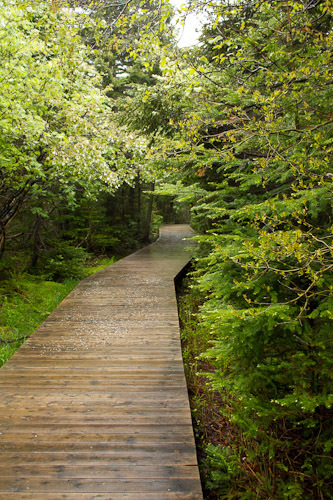 Many sections of the trail that are frequently flooded out during weather are covered with beautiful boardwalks and bridges, but erosion is still a big problem. My favourite section of the Grand Concourse is Rennie's River Trail, which I have frequently used to walk to work. 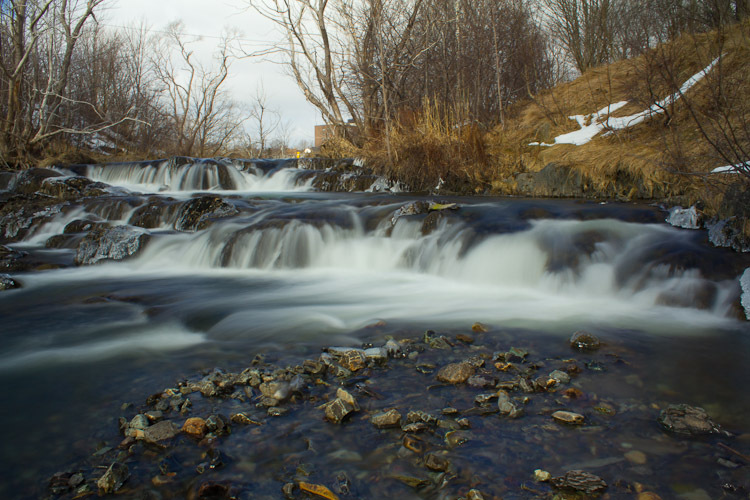 The trail follows a beautiful river from Long Pond, on the Memorial University campus, all the way to Quidi Vidi Lake. Long Pond and Quidi Vidi Lake both have great trails running around their perimeter, but the river is the highlight for me. 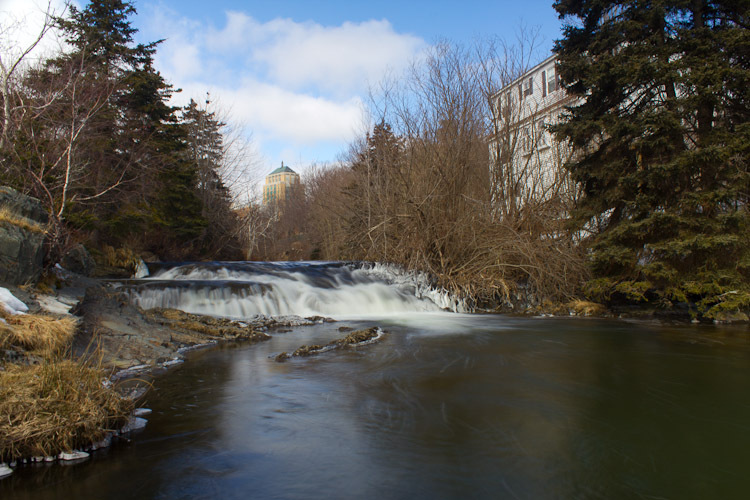 Several beautiful waterfalls along the trail drown the noise of the city, making it easy to forget that you are only minutes away from downtown. There are several nice benches and grassy spots to sit down and have a picnic, dip your feet in the water (in summer), and enjoy the fresh air. The lower part of the river was originally used as a watermill, and later as a swimming pool run by the local Rotary club. The foundation of the mill and many other signs of the river's former uses can be seen in several places. Plaques and signage lining the trail mark several important historical points in more detail. 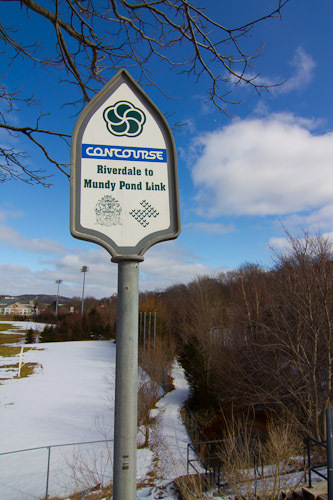 The Grand Concourse is primarily thought of as green space for recreation, but for many people it also plays a roll in commuting. It connects the Confederation Building and Memorial University to downtown. 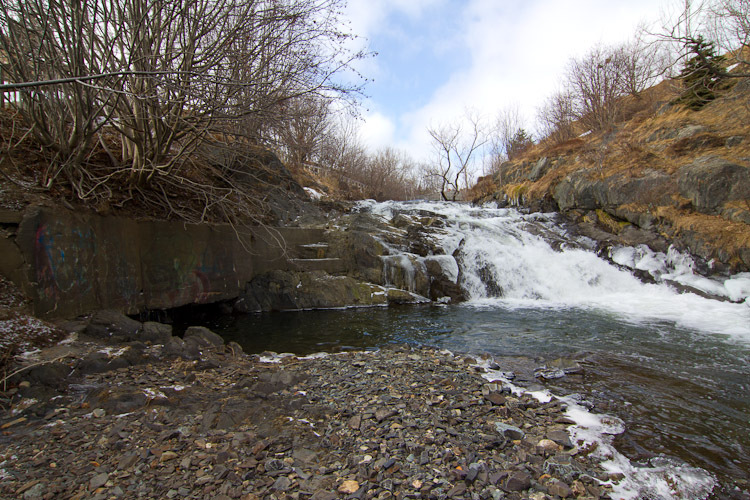 It also connects the residential area up Waterford Bridge Rd along the T'railway to St. John's proper. Continuing to develop the trail system with the goal of making it a practical alternative to driving to work would benefit the city greatly. While the trail was originally designed with pedestrians in mind, many sections have since been opened up for multi-use after pressure from local cycling groups. Still, with the gravel base, and several narrow sections (not to mention stairs), the trail is still best suited for pedestrian use. If I were the mayor of St. John's, I would postpone the plan to extend the Gushue Highway in favour of updating sections of the trail with a wider blacktop, making it more suitable for cycling. Additionally, this would allow it to be cleared of snow in the winter, encouraging year round use. 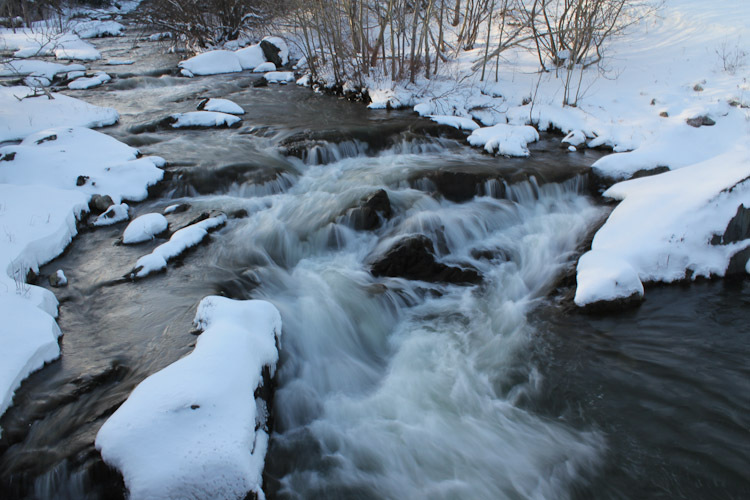 The trail is quite beautiful in winter, but after a week of having snow trampled down into ice, it can be quite treacherous in sections. A blacktop surface could be cleared during winter, allowing for easier pedestrian use, and for cyclists to continue commuting by bicycle for much more of the year. 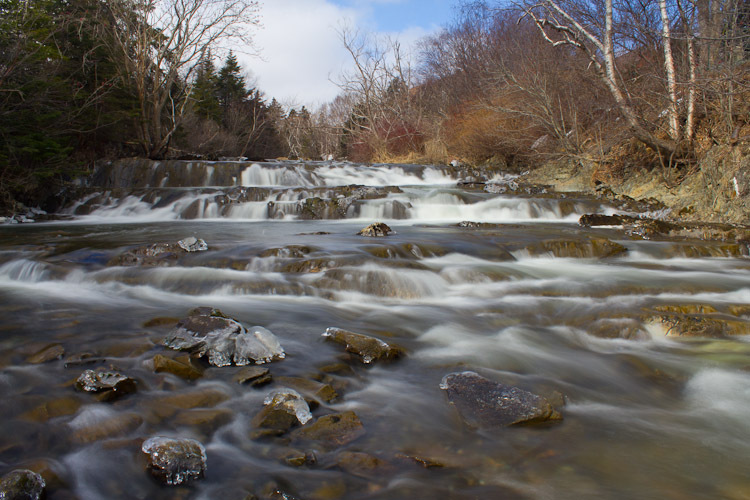 You'd never believe that this chilly waterfall picture was taken from the bridge at Elizabeth Ave - behind me is one of the busiest streets in St. John's!